AvalonBay Communities is one of the premier developers of luxury apartment communities in the nation. 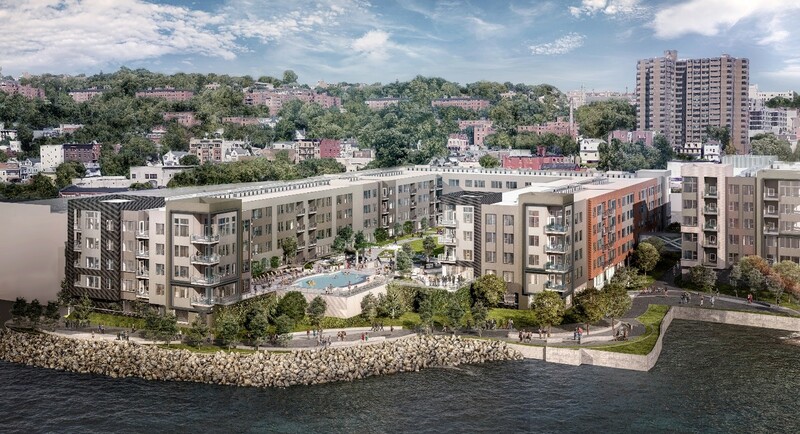 DelBello Donnellan represents AvalonBay in connection with numerous development projects throughout Westchester County, including this 589-unit apartment community currently under construction in the Alexander Street Urban Renewal Area on the Hudson River in Yonkers, New York. The project received approvals from the City of Yonkers and the Yonkers Industrial Development Agency, and is in the New York State Brownfield Clean-up Program. Ten percent (10%) of the apartments are “affordable” and will be rented to qualified households in accordance with local requirements. The project includes luxurious resident amenities and will provide public access to a waterfront promenade which will be constructed as part of the project and will serve as an extension of the Hudson River Esplanade.